Dividing debt can be a major contention point for divorcing spouses. Community property states handle debt differently than equitable distribution states. The mediation process is beneficial when it comes to sorting out the division of debt. The divorce experience is riddled with moments where you feel as though the outcome was supposed to be cut and dry, only for you to find it to be a different story. With every issue that may arise, comes an uncertain outcome. You may become discouraged by the process and how you are treated during this challenging time. Gender stereotypes pervade the family court system, resulting in decisions against men and fathers alike. In order to combat the challenges that you may face during the divorce experience, it is imperative that you contact a family law attorney who focuses on the needs of men and fathers. 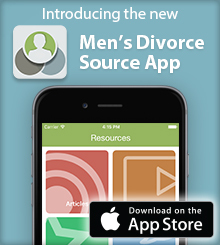 They can help you navigate the ins and outs of the divorce experience through the unique scope of your circumstances. There are many challenges that can arise during the divorce process, but one of the more complicated ones surrounds the topic of debt. When you are married, you can find yourself incurring debt in many areas of your daily life. Whether it is through credit, mortgages, medical expenses, or car payments, spouses have to deal with making payments on that debt, which takes on emotional, financial and legal facets in cases of divorce. The thought of paying off debt can be a tough pill to swallow. Not many people can pay off debts all at once, and depending on the size of the monthly payment, you may have to budget for the incurred loss. If it is not a loss you incurred personally but is one that was incurred while you were married, the idea of being assigned any level of responsibility for it through the divorce process is unbearable. If you live in an equitable distribution state, this may not apply to you. However, if you live in the community property states of Arizona, California, Idaho, Louisiana, Nevada, New Mexico, Texas, and Washington (Alaska is an opt-in), you can be held responsible for debt incurred by your spouse, even though you may not have been aware of the debt and signed no documents or agreements with any creditor. Any debt incurred in the marriage is considered joint debt that both parties are responsible for. That means that any house that either spouse signs for or any car that they attempt to purchase creates debt that both spouses are responsible for, as long as they are married. This proves to be more challenging if a spouse is ever late on payments, misses payments, or refuses to pay entirely. This trend of irresponsibility that your soon-to-be ex-spouse is exhibiting can fall on your shoulders and damage your credit rating. The best way to combat this entire ordeal and to preserve your credit is to sort through the marital debt between yourselves. If you and your soon-to-be ex-spouse were to agree to some form of mediation, this can be handled through an informal or formal version of the process. During this time, you and your soon-to-be ex-spouse may look at the debts and decide to split them evenly, or to take on the debts that you each accrued before or during the course of the marriage. You may benefit by including indemnity clauses in any agreement. This provides protection to you through the family courts in the event that your soon-to-be ex-spouse does not adhere to repayment terms, especially when it involves a third party creditor, according to family law attorney Marlana Caruso. Protection is important, especially when it comes to divorce. The emotions of the situation can be all over the map at any given time, and you need to be able to protect yourself should your ex-spouse decide to act against you in any way. If you have children, communication among co-parents is vital in managing the chaotic transition. Similarly, communication can be beneficial for debt division and financial matters, among ex-spouses who are on good terms. Being able to civilly discuss and resolve these types of issues can benefit both you and your ex-spouse in the long run. Both of you will be able to better focus on each of your respective futures, knowing that your co-mingling financial issues are no more.